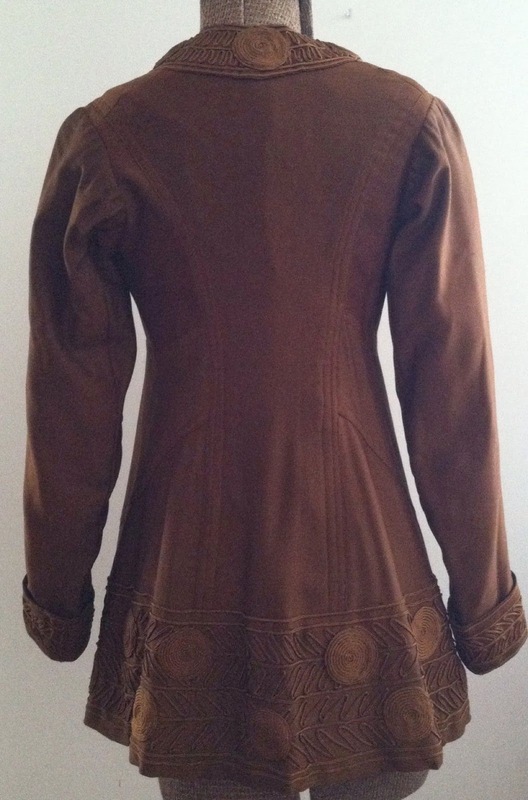 This is a beautiful Edwardian Brown Jacket. The fabric feels like a wool with silk blend however I cannot be 100% sure. 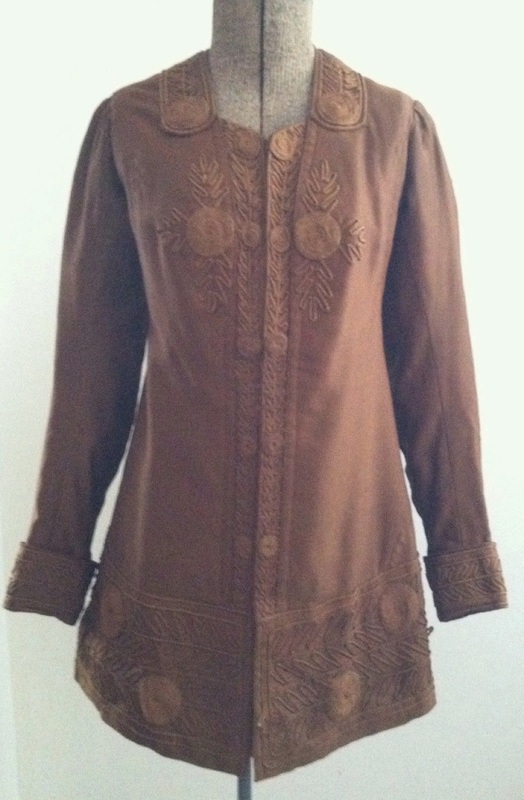 The garment has a slightly V neckline and long straight cuffed sleeves. There are 18 hook and eyes down the front. 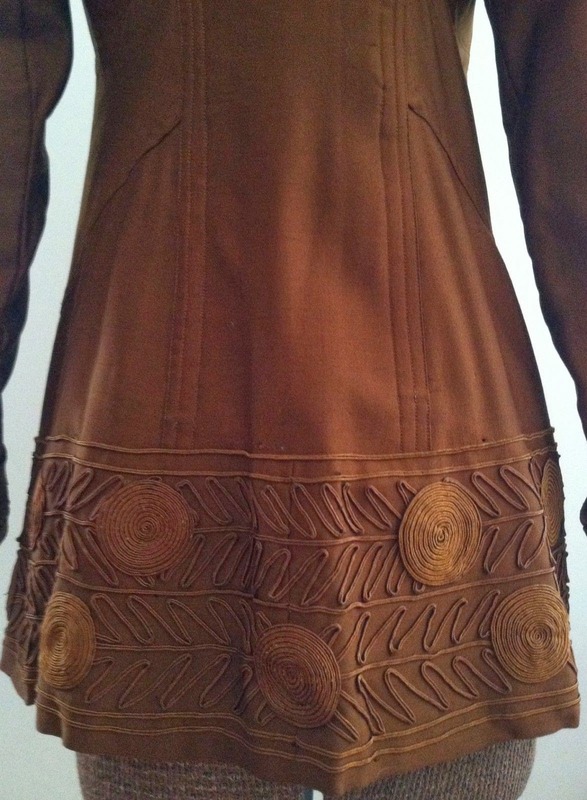 Jacket is completely decorated with awesome circular and zig zag designs made with brown corded/soutache trim. 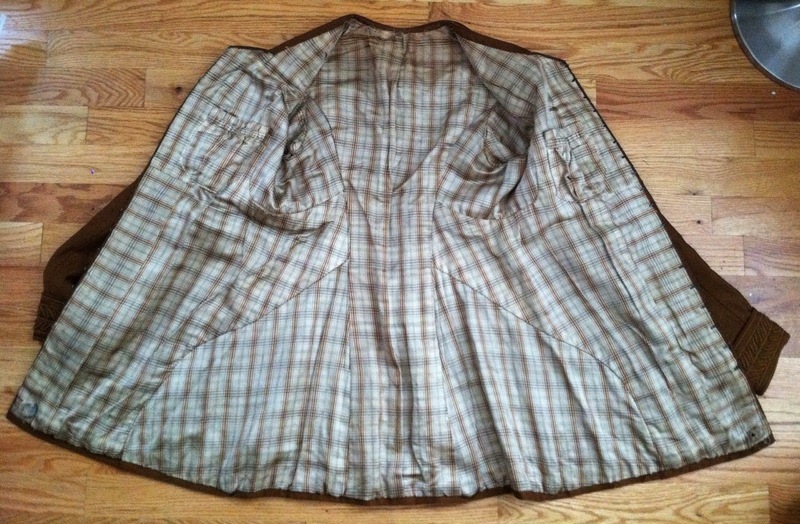 Garment is lined with a tan/brown plaid silk. 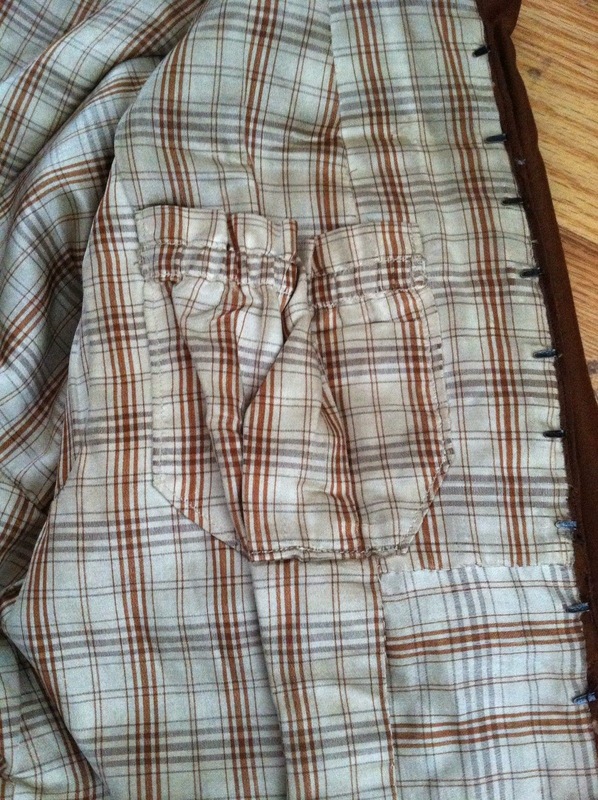 There are 2 pockets with gathering at top which makes a little ruffle edge. There are 9 weights along hem. Back of neck to hem 26-1/2"
Condition: There is a roughly 1" by almost 3" hole under the left arm near seam where sleeve attaches to body. There are fourteen 1/8" holes to top fabric in front of bodice (mostly to fabric underneath trim along edge near where hooks are), one 1/2" hole and roughly 18 pindot holes to front in bottom where trim is. There are roughly 18 pindot sized holes to 1/8" on back of garment. A few sections of trim need to be reattached. Silk lining has fraying along neck, under arms, and along a few sections of hem where weights are located. Otherwise awesome!! I'm going to say right about 1914 for this one. 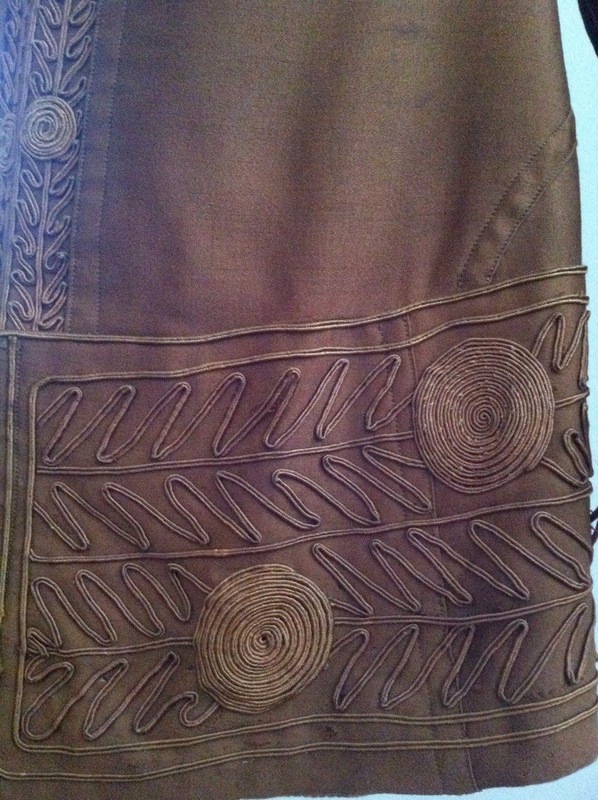 I love how it looks like something you could wear today and that little pocket detail inside. 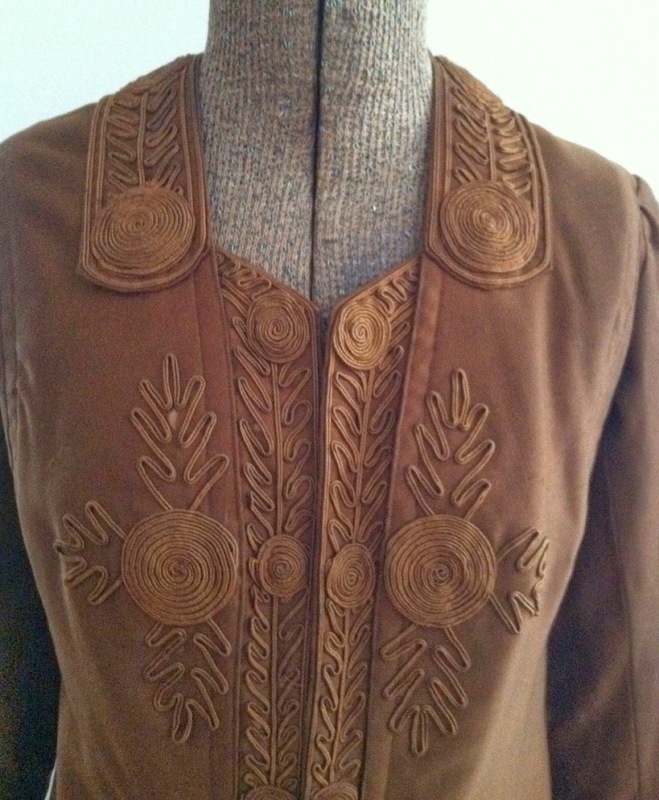 Omg, look at that gorgeous soutache! This is something I'd like to try someday. 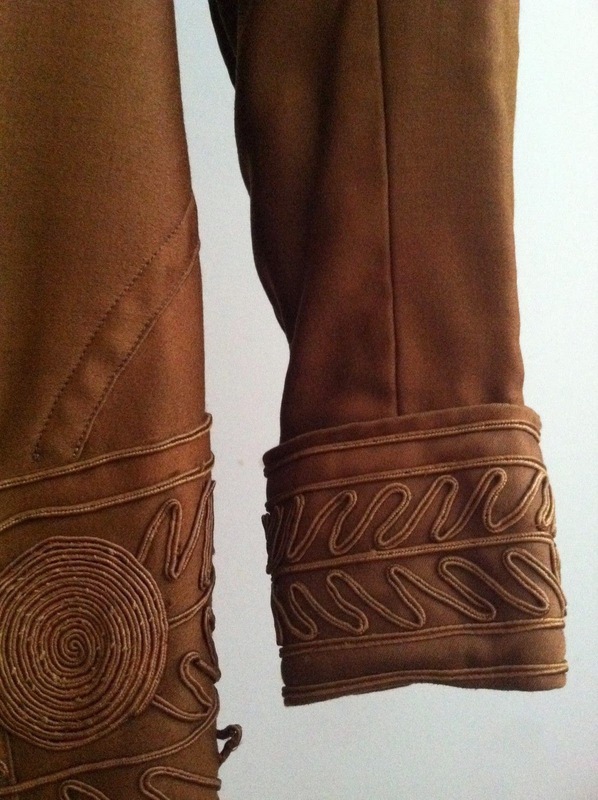 The soutache follows one of the last flourishes of the Arts and Crafts movement. :-) It is pretty fabulous.